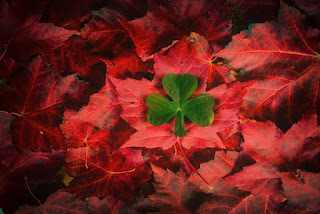 The Past Whispers: The Very First Irish Canadian? The Very First Irish Canadian? In the 2006 census – about 4.4 million people in Canada described themselves as being of Irish origin. 350 years earlier, in 1663, the first census was held in the outpost of Ville Marie (modern-day Montreal). It listed 3035 residents. Among them was a man who became known as Pierre Aubry. However, his name on arrival in Ville Marie was not Pierre Aubry – it was Tadhg Cornelius O’Brennan. And Tadhg was the first recorded settler in the territories that later made up the modern state of Canada. So, what brought Tadhg to this part of the world a full 200 years before many of his Irish Catholic neighbours? Tadhg came from the O’Brennan families of north Kilkenny. As we discussed in The Tribes of Ireland book – they came from the old Irish tribal lands known as the Osraighe (Ossary) which covered most of modern County Kilkenny and part of south County Laois. The chief family of the area were the Fitzpatricks – but many “Tuatha” were governed by families such as the O’Brennans for hundreds of years. However, by 1652, Oliver Cromwell had swept through the island in a brutal campaign which culminated in the “Act of Settlement”. This piece of legislation effectively confiscated the majority of Irish Catholic-owned land. Among the land affected was that belonging to the O’Brennans for hundreds of years previously. The displaced Irish were give the choice to go “To Hell or to Connaught” – although many ended up as slaves in the West Indies – and over 30,000 ended up as soldiers in the armies of France and Spain, becoming the “Wild Geese” that we know today. Tadhg O’Brennan was one of those who chose to join the armies of France at the age of twenty. He moved to the Celtic region of Brittany in Northwest France, and this was one the regions to supply soldiers and planters to the new colonies in North America. Tadhg turns up near modern Montreal – in what was known as Ville Marie – for the first time in 1661. He is recorded as being in the employ of a local farmer, and we hear of him only because he was one of a number kidnapped by a band of Iroquois. He remained a captive from March to October and was one of the lucky few to escape with their lives. By the Ville Marie census of 1663, Tadhg had become known as “Thecle Cornelius Aubrenan“. The same census recorded that while there were 1,293 single men in Ville Marie – Tadhg among them – there were only nine single women of child-bearing age. This prompted King Louis XIV of France to send on “les filles du Roi” (daughters of the King) to help the situation out a little. These “daughters” consisted of 770 women who arrived in the new colony between 1663 and 1673. In fact, more than 95 per cent of French-Canadians can trace their ancestors to women in that group. Naturally, this group also caught the attention of Tadhg. Tadhg tried hard for seven years to win himself a bride from each new boat arrival of “les Filles du Roi” – but eventually realised that he needed to head downriver to Quebec City to increase his odds of success. This he did – and on July 31, he met Jeanne Chartier. Tadhg and Jeanne were married September 10, 1670. The newlyweds settled in what is now the island of Montreal, and had seven children – three girls and four boys. Four of the children died before the age of five. The last two girls, born in 1679 and 1681, died soon after birth. Tadhg retired at the age of 51 and died four years later, in November 1687. He was buried in Pointe-Aux-Trembles under the name of Pierre Aubry and was survived by Jeanne and three of their children. We can guess that Tadhg lived a hard and uncertain life – far from all the familiar culture and people he knew so intimately up to the age of 20. He did what he could to survive and push ahead. Louis Aubry, who kindly shared this story and the documents related to his ancestor Tadhg, points out that he now has 5600 descendants of Tadhg on his database living in North America. And I guess few realise that while many bear the surname Aubrey – they are descended from a man with one of the more common names in the north of County Kilkenny.